This summer I will be returning to the Dark Continent, a place I once called home. I will hunt and fish with Starr & Bodill African Safaris, then return to a mission that is responsible for changing my life. In homage to my upcoming adventure, I share a post I first made in late 2011. I look forward to adding a new chapter to this story in the months to come. As 2011 draws to a close, I cannot help but reflect on the many blessings that have come upon our family this year. One of my greatest blessings was being able to continue my humanitarian and relief aid project in South Africa. The rural school children gathered and graced us with a beautiful song as a thank you for the gifts we brought. Todd and I first traveled to South Africa in 2007 in pursuit of cape buffalo with Shingani Safaris. Prior to our trip, our PH Riaan Vosloo, suggested we bring school supplies for the local public school. I gathered a few dollars from co-workers and set aside my own funds to buy pencils, paper, glue, scissors, and the like, for the school children. Little did I know what squalor and despair I would find when we delivered these items. I knew the area we were traveling through was impoverished, but I had no idea exactly what these children were living with (or without) until I saw it with my own eyes. The school had very few supplies and relied entirely upon donations. I later learned that many of these donations came from American hunters on vacation. If it were not for the generosity of the hunters, the school would not flourish. 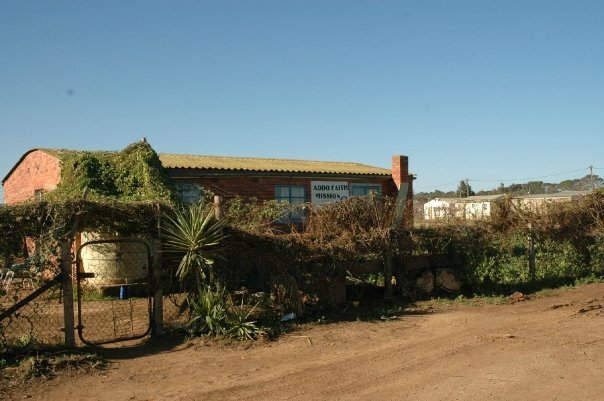 The situation only deteriorated when Riaan’s wife, Charmaine, took us to a local crèche (or day care) for the children of local tobacco farm workers. These toddlers were without diapers, or in diapers several days old. They were covered in filth. When their clothes became too small, or too soiled, the were simply “cut to fit” (i.e., pants legs and sleeves would be shortened, or the toes of shoes cut out). Each child’s eyes and nose were crusted over. Their faces and arms were covered with open sores. A flurry of flies hovered close by. As a parent, my heart sank with each new encounter. My eyes filled with tears to the point that I had to keep my sunglasses on, even indoors. I dared not let these children know I was crying for them… I was crying for humanity. Why, when we live in a country of prosperity and hope, did these small children have to endure such conditions? 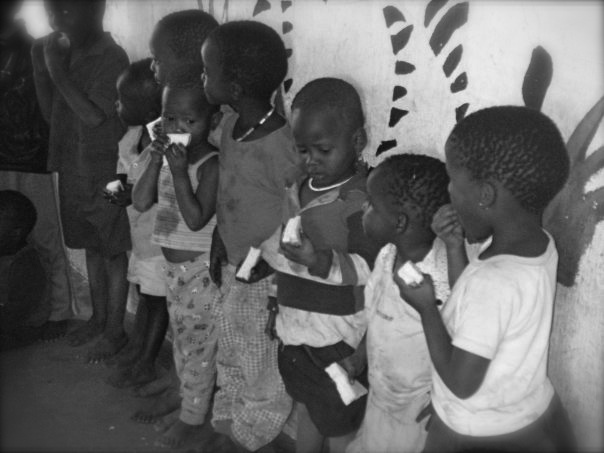 We had prepared a simple meal of sandwiches and fruit for the children to share. Little did I know that this one meal would change the rest of my life. From that moment I realized I could not go forward without doing more for these children. After all, they were my brothers and sisters in Christ. I did not dare turn my back on them! Our hunt with Shingani Safaris was successful. Between my husband and I we harvested cape buffalo, warthog, blesbok, springbok, black wildebeest, and a jackal. Despite the expense of our hunt, Todd and I left our remaining travel budget with Riaan and Charmaine to ensure the children at the crèche would receive another decent meal. I left knowing I needed to do something more. Had it not been for our hunt, my eyes would not have been opened. It wasn’t long before Todd and I were planning our next trip back to the Dark Continent in 2009. This time we chose to hunt with our good friends at Crusader Safaris. Todd and I have had the opportunity to bird hunt and fish for winter steelhead with co-owner Chris Broster here in Oregon. It was our turn to pay Chris a visit in South Africa. 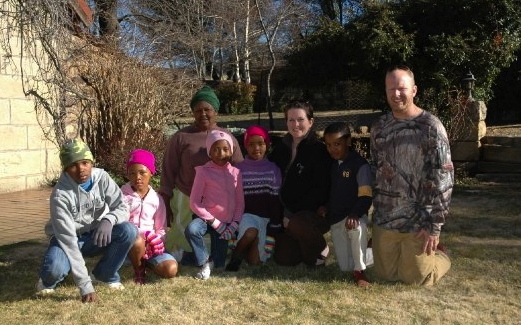 Prior to our travels, I arranged with Chris’ wife, Melinda, to sponsor five local children. Melinda gathered the clothing sizes, ages, and gender for the children, while Todd and I set to raising funds from our friends and co-workers. We gathered a few hundred dollars and hit the bargain bins. Before I knew it we had packed an entire suitcase for the children. Upon our arrival to Chris and Melinda’s home, we hosted a party for the kids and provided them a Christmas in July. The children arrived in tattered clothes and barefoot in the cold winter weather. Todd and I made certain each child received several new outfits of warm clothing, a new hat and gloves, a toy, and a warm wool blanket all for their own. I will never forget the smiles on those young faces. They warmed my heart! Todd and I spent our remaining funds and purchased a space heater for the childrens’ school room to keep their tiny bodies warm. 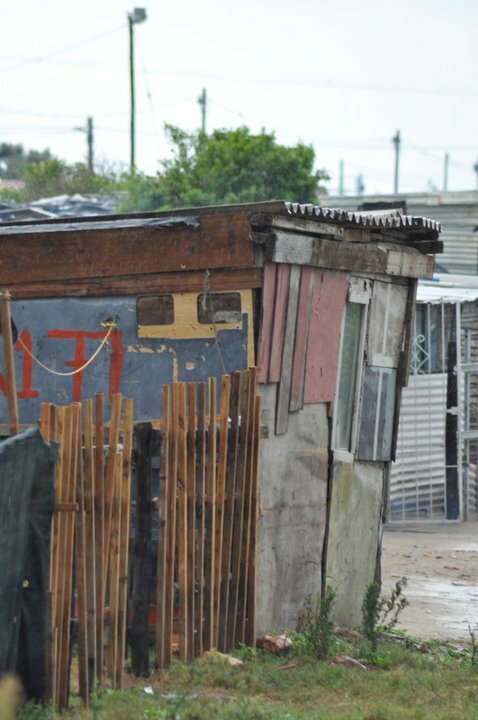 Many American’s have the misconception that South Africa has a warm climate. We do not realize it’s winters can be quite cold. In fact, it snowed on us the first five days of our trip! As our trip was winding up, Todd suddenly fell ill and was hospitalized. We ended up spending several unplanned months in South Africa while he recovered. (That’s a story for another day!) While Todd was recovering, however, we were blessed to meet his hospital roommate, Mike Layard, and his wife Rose. To this day we remain very good friends.